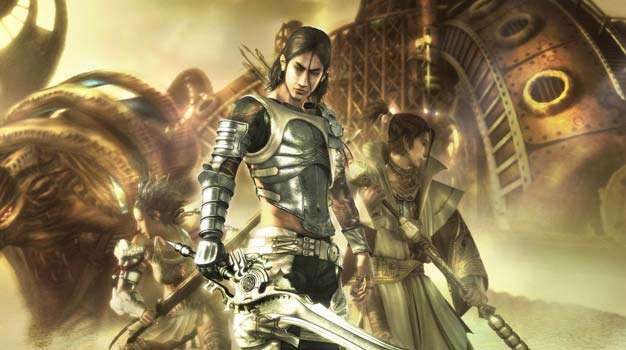 Mistwalker Studios, the company headed up by Final Fantasy creator Hironobu Sakaguchi, hasn’t made much noise since releasing Lost Odyssey last February. There was Blue Dragon Plus on DS, they announced the 360 RPG Cry On had been cancelled, and not a whole lot else. Well it turns out that, surprise, they’re still making games. Over on Sakaguchi’s blog, after talking about how delighted he was to find out that they have tiny Lego surfboards for Lego men to stand on, he gave us the following tiny nugget of info. I am working hard on a new project. Now we are being rushed into the “finishing” stage. I wish I had more to tell you folks, but that’s about it. He’s making a game, and we have no idea what it is. Now when he says the game is in the “finishing stage”, that doesn’t necessarily mean the game is done. Mistwalker is a company that designs story and gameplay templates and then outsources the actual development to other companies while Sakaguchi oversees the whole thing, so that could mean that the game is now just ready to be handed over to a developer. Or it could be out next Tuesday. Who knows? I certainly don’t.